We are an independent record label based in Nyack, NY. We put out music we love by people love. 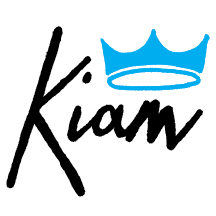 We have expanded to include a record store (The Kiam Records Shop), where you will of course find records by the artists on the Kiam Records label as well music released by many other great labels and musicians. We carry all kinds of music on vinyl, cds, cassettes - new and used. We also sell vintage clothes and accessories and new books! Visit us in downtown Nyack, New York at 95 Main Street. If you would like to send us your music, please send links to info@kiamrecords.com or send us mail at the above PO Box. We will be in touch if we are interested in working with you! Please be advised that we are very busy, put out only a few releases a year at the most, and if you don't hear back from us it doesn't mean we don't like your music!